Listed below are Jewellery & watches items for you to car boot sale online here that you will find available in Bradford. If you cannot find the Jewellery & watches items that you are looking for in Bradford you can add your wanted item to let sellers contact you if they have any Jewellery & watches items available for you. You can keep your contact information confidential. Enter only an email address in your car boot sale ad to receive offers into your account on our system. We will remind you automatically when new offers arrive for you. To offer your items for sale on this online car boot sale in Bradford simply click Post free ads for Jewellery & watches link below or the button Post free ad in top right corner of this page. It is fast, easy and free to post an ad in 2lazy2boot. It will take you just few minutes to have the ad seen on our listings. You can then edit your ads any time by clicking “Member area" button on top right corner of this page. Brand New/Unopened Mens Silver Shiny Rosra Quartz Watch For Sale An Ideal Fathers Day present Protective Plastic film over the watch - Completely New £40 (including all posting and packaging costs for anywhere in the UK) Will send out the same day - First Class (recorded delivery) email - tomhus99@yahoo. Choose Jewellery with a classic touch. Find your best from hundreds of designs available. 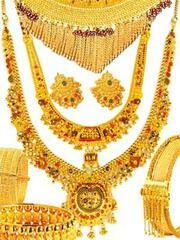 Find addresses of all jewellery shops in south India. Best designs in gold, silver & diamond jewellery. For all kind of jewellery information, models, new designs. 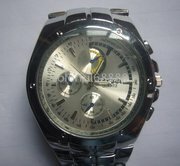 visit www.bestindiajewel.com User ID : Inet-104. The Best Jewellery with a classic touch. Choose your best from hundreds of designs available. Find addresses of all jewellery shops in south India. Best designs in gold, silver & diamond jewellery. For all kind of jewellery information, models, new designs. 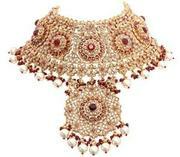 visit www.bestindiajewel.com User ID : Inet-63. Well here you go. Good luck with your on line car boot sale in Bradford. We hope you have some success and find buyers/sellers that you are looking for in Jewellery & watches . Don’ t forget to comment any successes in selling your Jewellery & watches items in Bradford to our valuation window and report forum! We are sure you will find many people in Bradford looking for your Jewellery & watches. Bradford car boot sale. Jewellery & watches for sale ads on online car boot sale in Bradford, second hand Jewellery & watches for sale in Bradford, Jewellery & watches ads for free in Bradford, 2lazy2boot - Bradford car boot fairs.